Minnesota Parents Know was an initiative funded by the MN legislature back in 2006. Don’t let the design of this website fool you. Just because it looks like it is from 2006 doesn’t mean that all the content is irrelevant. 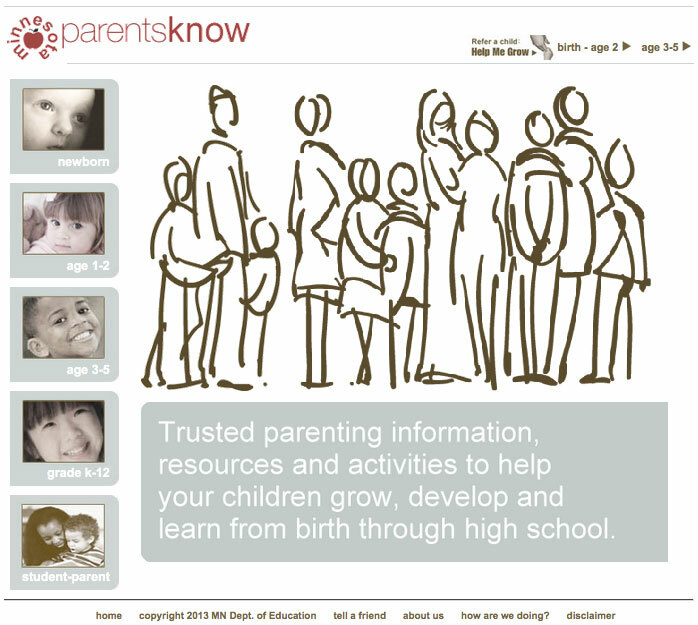 There is information on child development and related resources. The site has practical advice on things like grocery shopping with infants. Topics range from parent mental health to the use of pacifiers for infants.